I absolutely love traveling, but the actual travel part could be a hassle especially when you have to take a long flight. You have to deal with delays, long lines at TSA checkpoints, baggage fees, and getting beat by security for not wanting to give up the seat you paid for (yes I'm referring to you United Airlines). Long flights particularly international flights can be uncomfortable when you fly coach with limited space, you're sitting next to an inconsiderate passenger, or if there's a crying baby on board. You can make your long flight a little bit more pleasant with the Aria Living ThermaFlip Travel Pillow. It'll allow you to support your head in order for you to sleep easier and make the flight seem shorter and go by faster. 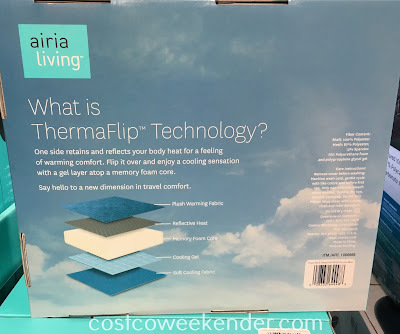 I for one always have a difficult time falling asleep on planes, so people like me should check out the Aria Living ThermaFlip Travel Pillow in order to let the time pass quickly. 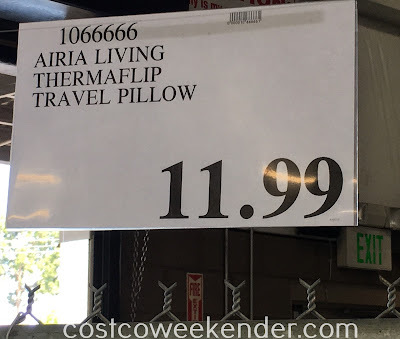 Whether you're flying, on a long road trip, or taking the train, the Aria Living ThermaFlip Travel Pillow will be your perfect travel companion.